Philippines will be celebrating its Independence Day on June 12.. Though our country is free from the colonial rule of Spain, are we sure that at present every Juan is free? Our history presents a series of battles...battle against the Spaniards, against the Japanese, and even against dictatorship. Today, we don't have the Spaniards to reign over the country, no Japanese to rule over us, no martial law to dictate what we should do. But I believe we still have one battle from the past that only few has won over. The battle for financial freedom. 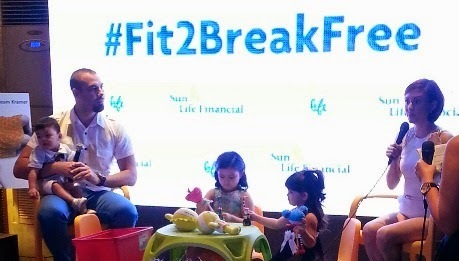 On June 5, I was invited in Sun Life's #Fit2BreakFree Event at the Prost Braumeister in Bonifacio Global City. Sun Life shared the result of the survey conducted by Social Weather Stations, a social research organization whom Sun Life partnered with. From the 1200 respondents nationwide, ages 18 and above and from different status, a conclusion is made that 9 out of 10 Filipinos have experienced shortage in the past 12 months. 3. Borrow from relatives, friends/neighbors or money lenders or even sell or mortgage properties. Sounds familiar? We might have tried or thought about at least one of the items above to cope up for our shortage in finances. The "Kapus" experience is prevalent to lower socio-economic classes as per the survey but the more surprising and interesting finding is that this "Kapus" experience prevails even those with higher income brackets. Before, I thought that if I will have more money, I won't be experiencing shortage anymore. I guess that's not true all the time. It's not just having more and more money. It's also managing your resources. Filipinos are very familiar of this saying. "Kapag maikli ang kumot, matutong mamaluktot." I can't give the direct transalation to English but this just means that when a blacket is short, you have to curve your body to be fully covered by the short blanket. We are proud that Filipinos are very patient, enduring and understading and we live by what we have. We act contented but the harsh truth is, since we are "kapus" and our blanket or budget is short, we set aside our own and our family's needs. "So instead of adjusting to fit in the shorter blanket, isn't better if we have a bigger blanket? ", the speaker in the #Fit2BreakFree event said. And I couldn't agree more on that. Our blanket might be short now, but let's work on creating or sewing a bigger one. That is what Juan should do. Together with Sun Life, let's make sure that June is not just a celebration of the Independence from the Spaniards but also a start of our independence from financial enslavement. In every battle, a soldier needs to be FIT so as we are fighting for our Financial Independence, we need to be F.I.T. Sunlife Financial introduces this "F.I.T." concept. Attend any of the Financial Independence Trainings (F.I.T) if you need any personalized or customized solution for your needs. Take the online Financial Intelligence Test (F.I.T.) to know where you are in the Money Meter. 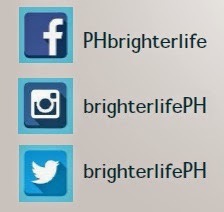 Go to Facebook.com/SunLifePH to take the test. Check out videos, blog articles and more on SunLife's Facebook, Instagram and Twitter (F.I.T.). Sun Life Financial is very aggressive in spreading financial literacy to every Juan and to help them in this advocacy, they brought in a new member of the #BrighterLife Family. 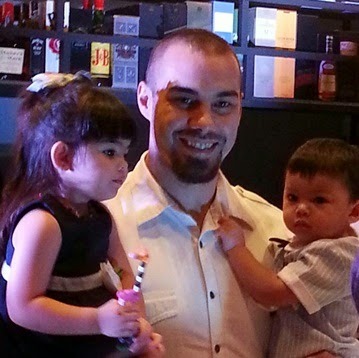 Sun Life's new digital ambassador is no other than #TeamKramer. It was a great experience seeing this beautiful family and hearing from them their own saving and investing tips and how Doug and Cheska introduce money concepts to their kids. For generations, Sun Life has been a part of their family's life. From Cheska's parents down to her children, saving and investing is being practiced. For me as a young professional, I started different forms of saving and investing from stock market to mutual funds. I thought that only at this point in my life that I can accumulate wealth by working. When I grow old, I won't be accepted in companies anymore. Therefore, I will have no source of income to supply for my needs. That's why as early as now, I save and invest. I started sewing my big blanket so when the rainy season comes, I can sleep tightly and relaxed knowing that I am well-covered. There is still hope for Juan. Start investing and saving now. Talk to financial advisors and create the brighter future..the brighter life.